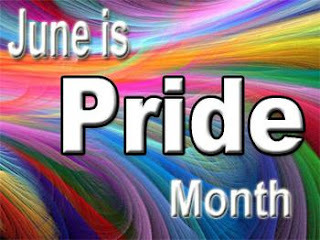 The Raving Queen: Let Us Not Forget--June Is Also Pride Month!!!!!!!!!!!!!!!!!!!!!!! Let Us Not Forget--June Is Also Pride Month!!!!!!!!!!!!!!!!!!!!!!! The very last day of this month, darlings, which happens to fall on a Sunday, is Gay Pride Sunday, here in New York! What a way to mark the half way point of 2013! Of course, all the Splash boys and muscle jocks will be dancing on floats--what would the Parade be, without them? But don't forget the wonderful social service organizations, activists, and yours truly, darlings, who work tirelessly all year to make things easier, in our own way, for up and coming Gay youth, than had been the case in our time!!!!!!!!!!!!!!!!!!!!!!! The Parade is only one day, but the whole month is being designated as such, so take the whole month to celebrate, and revel in some Gay Pride!!!!!!!!!!!!!!!!!!!!!!!!!!!!! And I say it is Pink, not Red, which is the new Navy Blue!!!!!!!!!!!!!!!!!! !